Learn how to explore and question a dataset, and arrive at interesting themes to build a data story around. Learn about different chart types, and which charts lend well to exploring what kinds of data. Learn about basic information visualization design principles that are core to creating custom visualizations. 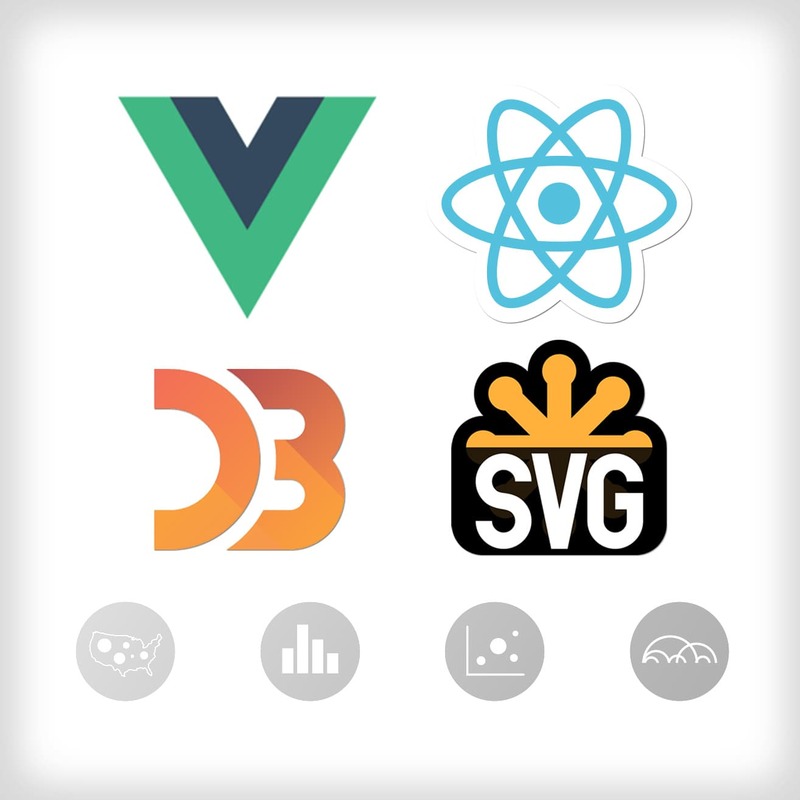 Learn how to systematically turn designs into code, including how SVG paths work, and how to take advantage of different D3 shapes and layouts for your own designs. Learn how to communicate key points of visualization to your readers with the use of titles, descriptions, legends, axes, and annotations. Learn the difference between expository visualizations and exploratory visualizations (which are not), and gain tips on what to watch out for when creating exploratory visualizations. Shirley Wu is currently a freelance consultant specializing in data visualization. Previously, she was a software engineer at security company Illumio working on an interesting part of the product called Illumination, a visualization of application traffic and visual tools for writing security policy on top of them. Most recently, Shirley has worked on An Interactive Visualization of Every Line in Hamilton, The Political Brain, Four Years of Vacations in 20,000 colors, and film flowers, and is part of the ongoing data sketches project. She is a co-organizer of the Bay Area D3.js User Group as well as the annual d3.unconf, and has spoken about her work at OpenVis Conf, BackboneConf, and various meetups. Do you know D3 data-binding and the enter-update-exit pattern like the back of your hand? Can you whip up bar charts and radial trees in your sleep? Do you want to go beyond building the visualizations you see in the D3 gallery, but you don’t quite know how? In this workshop, we’ll cover basic visualization principles needed for designing custom data visualizations and delve into the web technologies, and D3 modules are necessary to make your advanced data visualizations designs a reality. This class is for those that have a solid understanding of core D3 concepts — in particular: how selection, data-binding, and enter-update-exit is working underneath the hood. They know how to navigate the D3 library documentation, and have tried their hand at different shape and layout modules. They have experience building basic charts, but now want to advance to building their custom data visualizations with D3 and web technologies.